In Key Stage 3, pupils are given an introduction to the key Citizenship concepts of rights, democracy, money and the rule of law, as well as affording the pupils an opportunity to create and develop their own Citizenship campaign.The bespoke curriculum delivered by the department serves as a preparatory course for the Edexcel GCSE in Citizenship Studies (taken in Year 9-11) and serves as one the cornerstones of the school’s promotion of British values. From Year 9, pupils begin the Edexcel GCSE (9-1) Citizenship Studies course, with the examination being taken in Year 11. 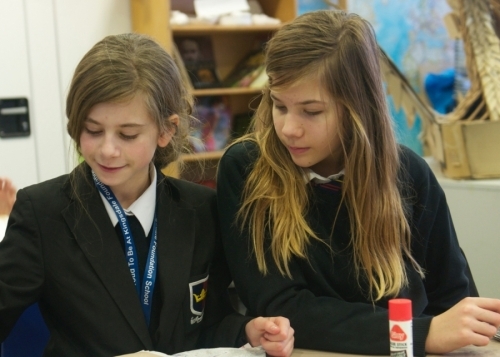 Citizenship Studies at GCSE focuses on how people take an active part in democratic politics and work together for a better society, locally, nationally and globally. In doing so, the course gives students the opportunity to learn about power, democracy, the operation of government and the legal system, and the role of the UK in the wider world. Students will also experience taking citizenship action and learn from trying to make a difference themselves. • How does local democracy work? • How does government manage public money? • Is crime increasing in society? • Does the UK have power and influence in the wider world? Students must carry out an in-depth, critical investigation leading to citizenship action. The investigation and action can be based on any aspect or issue arising from the course content and should be designed to have an impact locally, nationally or globally. There are many types of investigation and action that students can take that use different methods and citizenship skills. The GCSE is assessed through two externally examined papers (each worth 50%).